The state Senate could vote as soon as Wednesday on a road funding proposal that includes a possible income tax rollback. A state Senate panel approved a plan Tuesday afternoon that could generate about $1.5 billion annually for roads, in part by raising Michigan’s gas tax by 15 cents a gallon over three years. 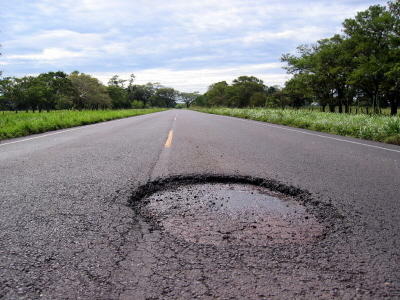 It would also shift about $700 million in existing state funds to roads. The nine-bill package would also cut Michigan’s income tax rate if the state’s General Fund grows beyond the rate of inflation. The size of that tax cut would depend on how much General Fund revenues increase each year. 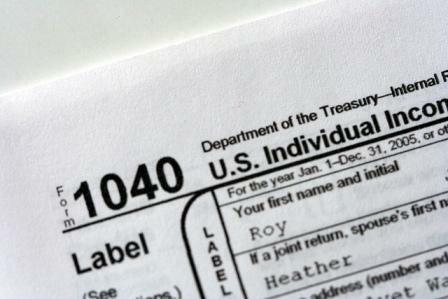 The income tax rate could not rise from one year to the next under the plan. “I think it give us an opportunity as Republicans to say we’ve heard the public, they want us to look within, they want us to fix the road problem, and they want us to control the size of government. And we’re going to try to do all of those things,” said state Senate Majority Leader Arlan Meekhof, R-West Olive. But some conservatives still don’t like the proposal because the tax cuts are delayed and they oppose a gas tax increase. State Sen. Jack Brandenburg, R-Harrison Twp., who has long pushed for an income tax rollback, is one of those skeptical of the plan. “It looks to me like all the tax increases come first and then relief for people comes two years later,” Brandenburg said early Tuesday. Brandenburg said he favors a state House-approved plan that relies more on future economic growth and shifting existing funds in the budget to fix the roads. Democrats and a number of groups that testified during a committee hearing on Tuesday spoke out against eliminating Michigan’s portion of the Earned Income Tax Credit (EITC) for the working poor. That measure is included in both the House and Senate road funding proposals. Two Republicans on the panel said they are also uneasy about eliminating the EITC, but voted in favor of that bill. They both expressed a desire to “move the process along” in order to get a road funding plan out of the Senate as soon as possible. "We're one bridge collapse away from a complete tragedy," said state Sen. Mike Kowall, R-White Lake. Democrats are also concerned about the $700 million shift away from the state’s General Fund. They say that would mean significant cuts in services. The state House has approved a Republican plan to boost road funding by about $1 billion a year. It would shift most of the money from existing funds in the state budget. Democrats criticized the plan. They say it relies too heavily on projected economic growth in coming years. And they strongly oppose provisions that would increase fees for alternative fuel vehicles and eliminate a tax credit for the working poor. What has happened to the once-esteemed Earned Income Tax Credit? Everyone used to love it. The EITC is the target this week as state House Republicans continue hearings as they look for ways to raise more than $1 billion for roads without raising taxes.